Hiredepot is open Monday-Friday, 7am-5pm and Saturdays, 7:30am-1pm. We are closed on	Sundays. Do you have weekend rates? Yes. We normally charge one day for a two-day weekend hire, though some items may cost more, so please ask. 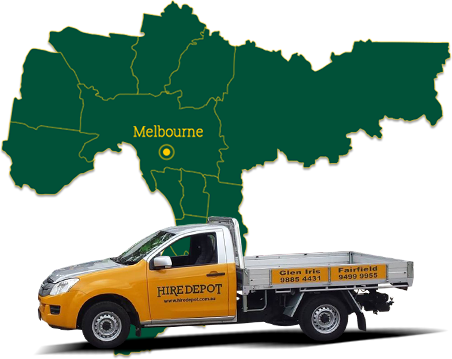 We service all of Melbourne metro and regional areas, and will deliver anywhere your job is	located. Our branches are located in Glen Iris (south eastern suburbs) and Fairfield (northern suburbs). What do I need in order to hire? To place an order, you will need a current Victorian Drivers Licence and a Mastercard or Visa for payment. Do you charge for consumables? 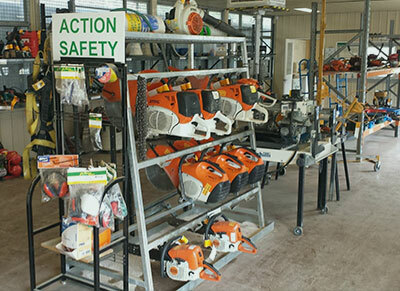 Yes – items such as sandpaper and fuel for larger equipment are charged on a ‘pay for what you use’ basis. Consumables can be quoted before you hire. Do quoted rates include all charges? Quoted rates include GST as well as a tank of fuel (for smaller equipment). Some items also	include a free courtesy trailer, so please ask to confirm if this applies to you. 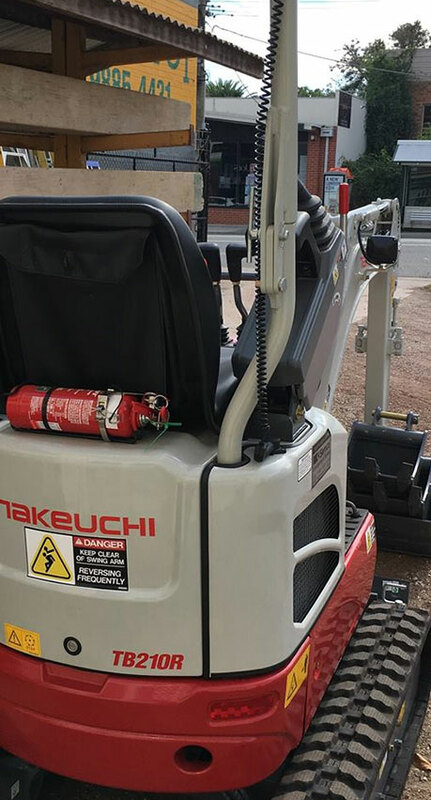 What happens if I have a problem with the equipment or the job? We want your job to be successful and hassle-free, so if you’re having issues we urge you to	call us immediately so we can get you working again ASAP. We pride ourselves on our prompt	response when your job turns pear-shaped – regardless of the reason. What happens if I return my item early? We will only charge you for the time you have the equipment, at the cheapest rate applicable. If you’re faster than expected, we will happily refund any overpayment. What happens if I hire an item for a day but keep it longer? We have daily, weekly and monthly discounted rates. If you do not have an account with us, you will need to pay in advance. However, we will always default to the cheapest rate – even if you don’t ask! No. We hate “damage waivers” charged by other hire companies. We believe it’s the most expensive insurance you’ll ever pay, and there are always arguments about what it covers. You need to have insurance for our equipment. Please ask us if you’re unsure your commercial policy covers this. Am I responsible for the equipment after I’ve offhired it? Yes. You are responsible for the equipment from the moment you receive it, until you return	it (or we pick it up). This includes the time from which you call us to collect it, until it is safely	in the hands of Hiredepot staff. If you have concerns around keeping equipment safe, please advise us and we will do our best to assist you. Alternatively, drop into one of our branches.